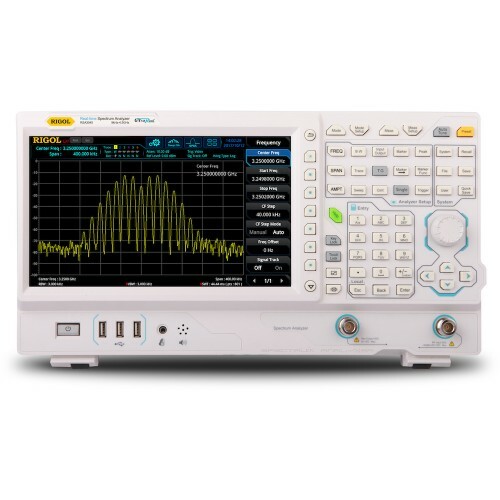 The RIGOL RSA3030-TG (frequency range 9kHz - 3GHz and tracking generator) is a new generation of cost-efficient real-time spectrum analyzer with high performance. With superb performance specifications and the clear user interface, the RSA3000 series allows you to operate it through various ways, such as pressing keys on the front panel, using the touch screen, connecting the mouse and the keyboard. Remote communication interfaces are also available. The instrument can be widely used in education science, corporate R&D, industrial production, and other fields.